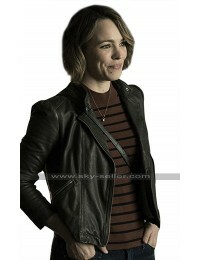 A sleek, clean-lined design epitomizes women’s leather outerwear collection. 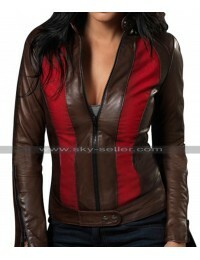 Flaunting a cool, rugged style; this gorgeous Maroon Leather Jacket will be an amazing addition to your wardrobe. 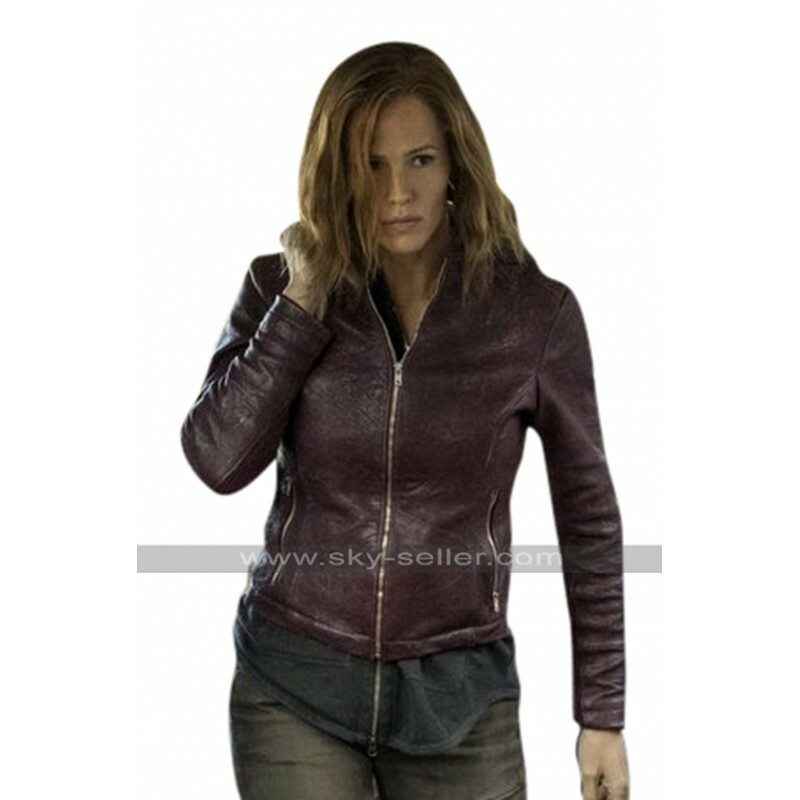 As a modernize signature stamp of the stunning Jennifer Garner; this vibrant outfit has been taken to inspire from the drama/thriller movie of 2018 Peppermint. 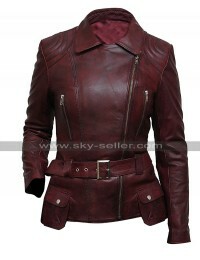 The astounding attire has been finished to perfection using the best grade leather material in a shiny maroon tone. Internally, it carries a feather lightweight and soft viscose lining that keeps all the comfort intact. A simple round neck collar provides a sophisticated, laid-back look while a front zippered closure reveals a gleaming personification. 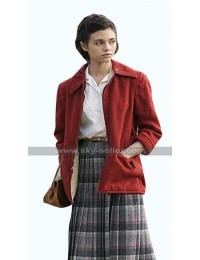 The sleeves are long in length, patterned in a fitted silhouette for an adorable, smart appearance. The two zippered waist pockets are placed in a slanted manner that looks flawlessly outstanding. 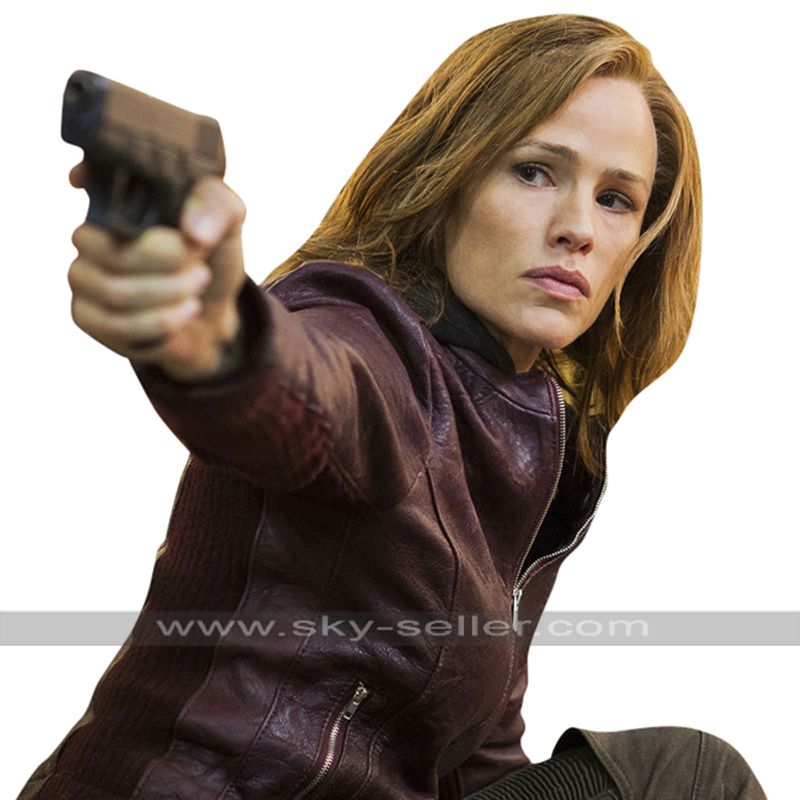 Layer a gunmetal grey hoodie underneath, a set of green cargo pants and black military boots to attain the perfect look like that of the beautiful Jennifer Garner.